Travelling to Ukraine, Poland, Slovenia, Hungary, Czech Republic or Slovakia? You’ll find lots of travel tips and ideas of where to go. The Danube in Serbia is worth exploring whether it be by boat or by bike. The highlights include Trajan Table, Decebalus Rock Sculpture and the Kazan Gorge. Sightseeing in Bucharest, Romania is at its best in the evening with the lights! Check out Old Town and the Palace of the People. Have you ever eaten a legally protected croissant? One that is protected in all of the EU? You have if you've eaten a St. Martin's Croissant, better known as rogale marcińskie in Polish. Have you ever eaten a legally protected croissant? One that is protected in all of the EU? You have if you’ve eaten a St. Martin’s Croissant, better known as rogale marcińskie in Polish. I LOVED Poznan's Old Market Square. It's one of the prettiest market squares I've seen anywhere in Europe. Budapest Tram #2 is the most scenic tram journey in Europe according to National Geographic. And according to our guide it's the second most scenic tram journey in the world (after San Francisco). Regardless of it's rating, It's spectacular! 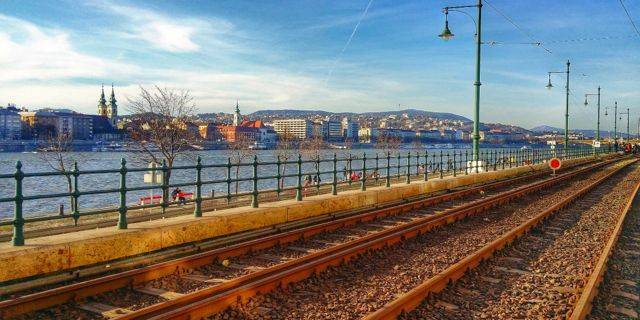 Budapest Tram #2 is the most scenic tram journey in Europe according to National Geographic. And according to our guide it’s the second most scenic tram journey in the world (after San Francisco). Regardless of it’s rating, It’s spectacular! My visit to Franja Partisan Hospital, located near Cerkno ended up being one of the highlights of my trip to Slovenia, despite my initial reluctance to go. The Kobarid Historical Trail leads visitors through key sites of the Battle of Kobarid... And to one of the most beautiful waterfalls in all of Slovenia. The Kobarid Historical Trail leads visitors through key sites of the Battle of Kobarid… And to one of the most beautiful waterfalls in all of Slovenia. It's no secret that fall is my favorite time of year to hike. What is a secret is just how incredible fall hiking is Triglav National Park, Slovenia's only national park! It’s no secret that fall is my favorite time of year to hike. What is a secret is just how incredible fall hiking is Triglav National Park, Slovenia’s only national park!